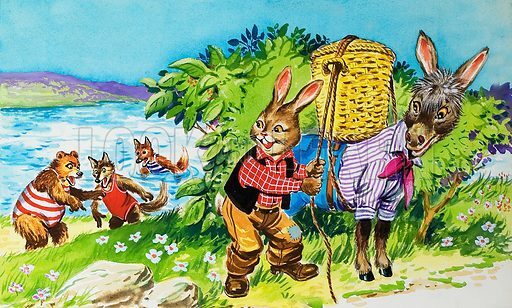 Brer Rabbit. Original artwork for illustration in Once Upon a Time issue no 146. Lent for scanning by the Illustration Art Gallery. Available worldwide for immediate download up to 5,153 x 3,105 pixels.